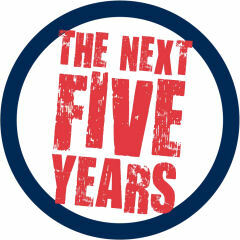 Koye's Blog: What will you be doing in five years? If you asked me five years ago what I would be doing today, I would have looked straight into your eyes and given you a confident answer. I would have maintained eye contact all through the conversation and thrown in a few verses from the Bible for good measure. If you were a peer, you may have left thinking something was wrong with you for not having that degree of certainty about your future. I was absolutely sure what I would be doing in five years. I was also absolutely wrong. I recently read my personal mission statement from 2007. It opened with what I thought was the problem with Nigeria, and how my skills, personality, and interests could combine to help make a difference. Hard at work studying Mechanical Engineering at the time, I believed Energy was the solution to Nigeria's economic problems, and I wanted to spend my career fixing our Energy Sector - so that people could do business, create wealth, and lift themselves and their families out of poverty. It is nine years down the line today, and I currently want nothing to do with the practice of Energy. But guess what hasn't changed? My desire to help create an enabling environment for people to grow and achieve their potential is stronger today than it has ever been. While my 'how' has evolved quite a few times and continues to evolve, my 'what' hasn't changed one bit. I think it is perfectly okay for your 'how' to evolve too, just like mine. While there will always be a few people who seem to follow a linear path to greatness, the path for many of us will consist of twists, turns, and pivots. In the end, within the bounds of what is right and fair, what will matter most is whether we got home - not what path we followed. It takes people to make/accept/enforce a change , but it takes individual to create/lead a change. God knows tomorrow but we have to make the best of today. I still believe Nigeria's problem would be greatly reduced if we have adequate power and infrastructures. God bless Nigeria. weldone Koye!